Cyndi Laval is a partner in Gowling WLG's Vancouver office. She is a past leader of the firm's national Corporate Finance, M&A and Private Equity Group, as well as a past co-leader of its Mining Group. She specializes in the areas of corporate finance, securities, mergers and acquisitions, and mining law. Cyndi's practice involves advising both domestic and foreign companies regarding friendly and hostile merger transactions, corporate finance activities, such as equity and debt financings, stock exchange listings, corporate and securities regulatory compliance, corporate reorganizations, corporate governance, and mining-related transactions. Cyndi is particularly active in advising publicly listed companies (TSX, TSXV, NYSE-MKT and AIM) in the resource industry. Cyndi is past head of the Vancouver Business Law Group and has been a member of the Vancouver Management Committee. Cyndi previously served as a member of the firm's National Partnership Admissions Subcommittee and is a member of the firm's Mining Group. Prior to joining private practice, Cyndi worked in the policy department of what is now the TSX Venture Exchange. 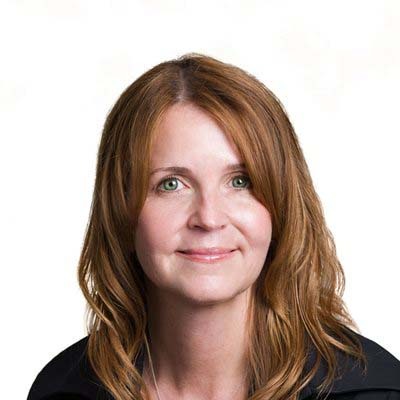 Cyndi was a member of the TSX Venture Exchange's Local Advisory Committee from 2006 to 2013 and an instructor of the TSX Venture Exchange Rules and Tools Corporate Governance Workshop from 2004 to 2010. She has also given lectures at several other conferences and seminars. Acted for Hathor Exploration Limited in its defence of Cameco Corporation's attempted hostile takeover of Hathor and subsequent successful acquisition by Rio Tinto in a transaction valued at $654 million. Acted for Silver Quest Resources Limited in its acquisition by New Gold Inc. and concurrent spin out plan of arrangement valued at $125 million. Acted for Extorre Gold Mines Limited in its $414 million acquisition by Yamana Gold Inc. by way of a statutory arrangement under the Canada Business Corporations Act. Acted for Extorre Gold Mines Limited in its $25.2 million underwritten bought deal financing. Acted for Extorre Gold Mines Limited in its $49.4 million underwritten bought deal financing. Acted for Canaccord Genuity Corp., financial advisor to Asanko Gold Inc. in Asanko's acquisition of PMI Gold Corporation by way of a plan of arrangement. Advised a consortium composed of Korea Resources Corporation, LS-Nikko Copper Inc., Hyundai Hysco Co., Ltd., SK Networks Co., Ltd., and Iljin Materials Co., Ltd., in connection with the construction funding for the Boleo project in Mexico. Acted for Canaccord Genuity Corp, financial advisor to B2Gold Corp., in connection with B2Gold's $1.1 billion cross border acquisition of CGA Mining Limited by scheme of arrangement. Acted for Hathor Exploration Limited in its acquisition of Terra Ventures Inc. by plan of arrangement. Acted for Mariana Resources Ltd. in connection with a definitive option agreement with Condor Resources Inc. for the Soledad Prospect in Peru. Acted for the special committee of independent directors of Alpha Minerals Inc. in its acquisition by Fission Uranium Corp and concurrent spin out transaction. Acted for Brazilian Gold Corporation in its $23 million underwritten bought deal financing. Acted for Hathor Exploration Limited in its $13 million bought deal flow-through equity financing. Acted for Hathor Exploration Limited in its listing on the Toronto Stock Exchange. Acted for Mariana Resources Limited in its listing on the Toronto Stock Exchange. Acted for the special committee of independent directors of Mercator Minerals Ltd. in connection with Mercator's acquisition of Creston Moly Corp by way of plan of arrangement. Acted for Salares Lithium Inc. in the company's $350 million acquisition by Talison Lithium Limited via plan of arrangement. Acted for Salares Lithium Inc. in its $40 million subscription receipt equity financing. Acted for Sama Resources Inc. in connection with the $2.1 million strategic investment by MMR Exploration Limited (a subsidiary of Minmetals Resources Limited) into Sama. Advised in connection with a take-over bid offer for Canico Resource Corp. by Vale S.A. valued at $941 million. Advised in connection with the acquisition of Cumberland Resources Ltd. by Agnico-Eagle Mines Limited for $710 million. Advised in connection with the merger by plan of arrangement between EuroZinc Mining Corporation and Lundin Mining Corporation, with the resulting company having a market capitalization valued at approximately $3.77 billion. Advised in connection with EuroZinc Mining Corporation's $156 million acquisition of the Neves Corvo Mine. Advised in connection with New Gold Inc.'s $392 million debt-equity British Columbia mine project financing. Advised in connection with Redcorp Ventures Ltd.'s $252 million debt-equity British Columbia mine project financing. Acted for Bema Gold Corporation in connection with its listing on the London Stock Exchange's Alternative Investment Market (AIM). Acted for Bema Gold Corporation in connection with its $132 million underwritten bought deal financing. Acted for Bema Gold Corporation in connection with its US$70 million principal amount 3.25% convertible note financing. Advised Mariana Resources Ltd. (Alternative Investment Market and the TSX Venture Exchange), a Guernsey incorporated exploration and development company with a diversified portfolio of precious metals projects in Latin America, Turkey and West Africa, on its USD$175-million acquisition by Sandstorm Gold Ltd. (Toronto Stock Exchange and NYSE), a gold royalty company, via scheme of arrangement.